Great Location! 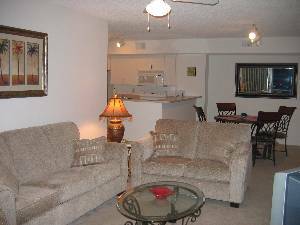 First Floor End Unit 3 bedroom / 2 Full baths, one level. Minutes to downtown Naples and Beaches. Located in the Napoli Complex. 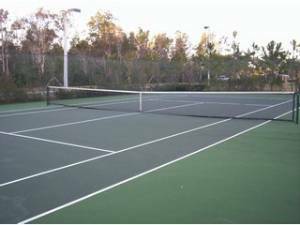 Walk to the Pool, Clubhouse, Workout Room, Air Conditioned Racquetball Court, Tennis Courts and Billards Room. Resort Style amenities. 2 Walk in Closets. Screened in Lanai. Easy access, wheel chair accessible - no stairs. Expanded Cable Channels, Free phone calls within the US and Canada and free WiFi in Unit. Only 3.5 miles from downtown Naples and beaches. Located on a 58 acre preserve of which only half is used for residential purposes. Walking and bike trails. 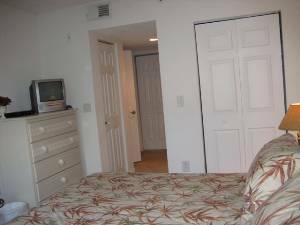 Shopping Center minutes away with Grocery Store, Restaurants, Starbuck's, Cleaners, Banking. Golf courses in immediate area. 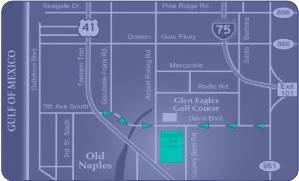 Shopping galore and approximately 10 minutes from Beaches, Downtown Naples, Restaurants, Nightlife, Zoo, Naples Pier, and Galleries. Napoli is Located at the corner of Davis Blvd. and County Barn Road. Minutes From Beaches and Downtown Naples! Quiet End Unit - No Stairs! My wife and I have rented this unit for three months in each of the last three years. The owner, Joanne Johnson has been wonderful to deal with, very accommodating and prompt to respond to questions etc. The unit itself was very nicely equipped for our needs. 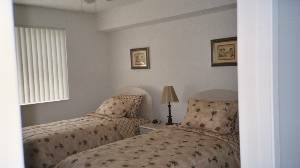 The four single beds worked particularly well for the visits from our children and grandchildren. 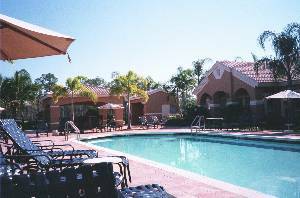 It is the closest unit to the pool and clubhouse and the morning sun on the lanai was a great way to start the day. The garage was very useful to store bikes and beach stuff. We found the Napoli community to be just the right size for us, very informal and lots of very friendly owners and renters. 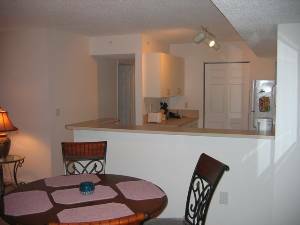 This unit was good value and we would rent it again. to using you again, possibly in Scottsdale or Vegas. Additional Discounts for extended stays, Corporate Rental, Out of season specials and Frequent Renters. Deposit: First, and last month due 120 days prior to check in for High Season. $500.00 Security Deposit to hold reservation.